In 2019, Quora turned 10 years old. However, you might have missed that it can also be a powerful platform for reaching your brand’s audience. More than 300 million monthly users are scouring Quora at any given time and now marketers have a variety of ways to reach them. Why spend money on expensive consumer surveys when you’ll find out what your customers are asking for on Quora? Questions and answers are an excellent insight into your customers, how they think and what they need. What’s more, if you’re struggling with writer’s block and you need to update your blog, your Quora marketing strategy will help. 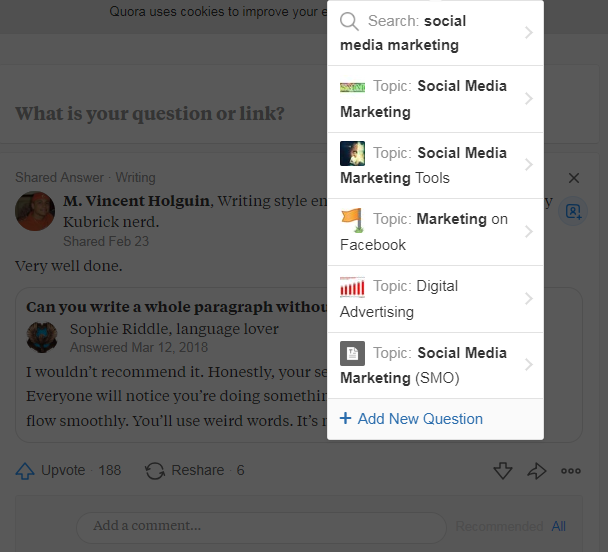 You can even follow topics on Quora to see what your competitors are doing. Getting ahead of them and actively catering to the problems your customers have ensures that you remain relevant. There are a variety of ways to use Quora for marketing. When it comes to paid ads, the best option is often conversion targeting. 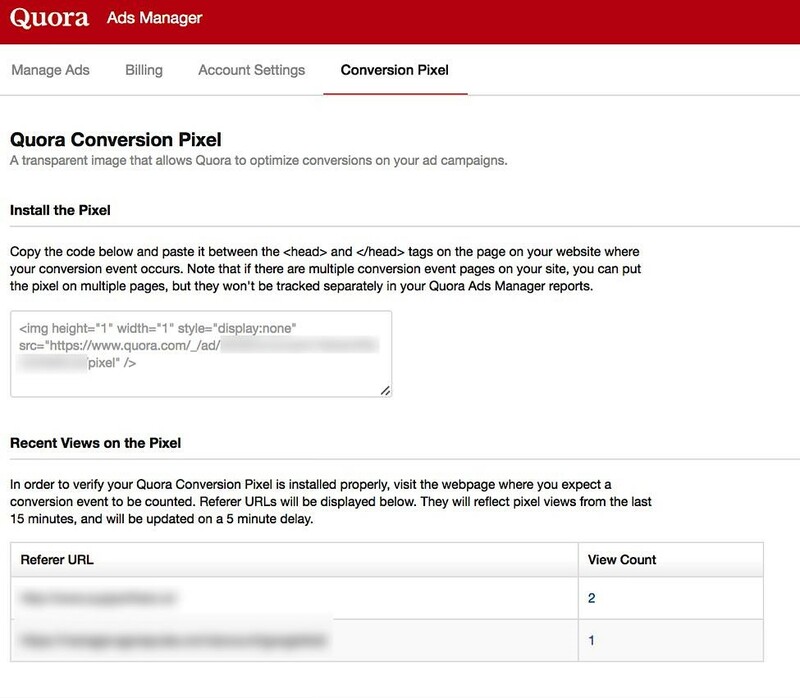 Quora’s conversion optimization campaigns use a specific “conversion” pixel to allow companies to track the impact that Quora ads have on their website. To use the conversion pixel, you’ll need to place it on your website so that you can track the movement between your site and the platform. You’ll also have to set a Cost Per Action (CPA) and pay on a CPM basis. Successful promotion isn’t just about disrupting your audience and dragging them to your website anymore. You need to find your customers, wherever they are and deliver the kind of value that makes them want to follow you. Quora is a great tool for this type of marketing since you’re demonstrating value when you create detailed answers to audience questions. It’s important to remember that the mission on Quora is to answer questions meaningfully rather than just blasting an advertising message to as many users as possible. This means you’ll need to spend a bit of time getting to understand the nuances of this platform’s community. Quora shows the first 50 characters in your profile as a tagline above each answer you give. It’s a good idea to include your company name here, so readers can see where you come from. Your full bio can also include clickable links. While it’s essential to use these links sparingly, they help drive traffic back to your most useful website-based resources. If your brand focuses on multiple niches, create topic-specific bios. For instance, you might have one bio that demonstrates your expertise as a healthcare marketer and one where you thrive as a personal trainer. 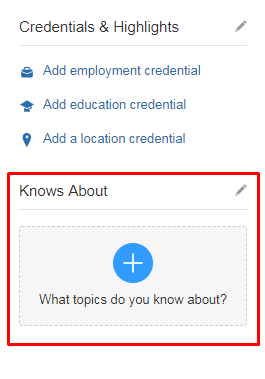 To create topic-specific bios click on your profile page. In the right-hand side, you’ll see the Knows About column. Quora delivers a list of autocompleted topic suggestions for you to explore. When you click through to a topic page, you’ll also see another list of related topics at the side. Hit the Follow button to start following a topic. You’ll also need to make sure that your email notifications are set up correctly if you want to get alerts. Go to your Settings page and click on Emails & Notifications. You’ll be able to choose the frequency and types of emails you get from Quora. An essential part of learning how to use Quora for marketing involves knowing which questions to answer. There are millions of queries floating around on the platform today. However, not all of them will deliver value for your business. One of the easiest ways to find relevant questions is to type a keyword into the query box at the top of the platform and select Search. Once you’ve brought up a list of questions, filter your results to queries from the last month or so. You’ll want to focus on topics that are relevant right now both to get visibility and add your authoritative voice to completely new discussions. Once you’ve found questions that are relevant to your business, make sure that your answers stand out. One or two sentences on “How to use Pinterest” won’t impress anyone. However, an insightful response with links to relevant content on your blog, case studies and statistics demonstrates your thought leadership. Remember, show your passion for the topic and don’t be afraid to let your brand’s unique tone of voice shine through. If you’re trying to appeal to a younger audience, you might even try Quora’s version of emojis. Quora isn’t just a search engine; it’s a social media platform. That means you need to be “social” with it. When learning how to use Quora for marketing, don’t forget about the importance of engaging with potential leads and customers. 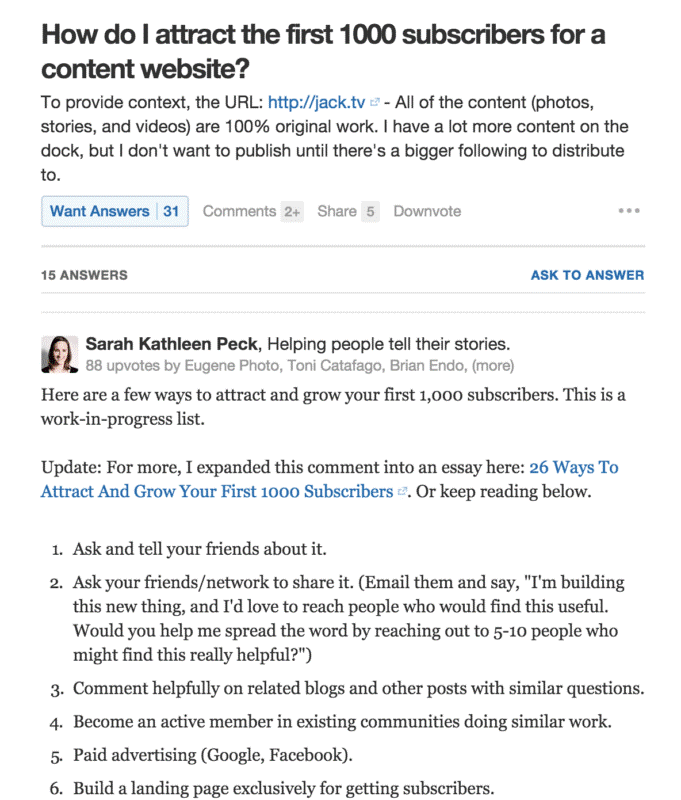 Like most social channels, Quora allows users to communicate directly with other people. For brands, this is a great way to enrich your relationships with customers. On Quora, you might even find that people are asking questions about your specific product or company. Who better to answer those queries than a leading employee of your business? Quora is an excellent way to address any concerns or queries your customers have too. 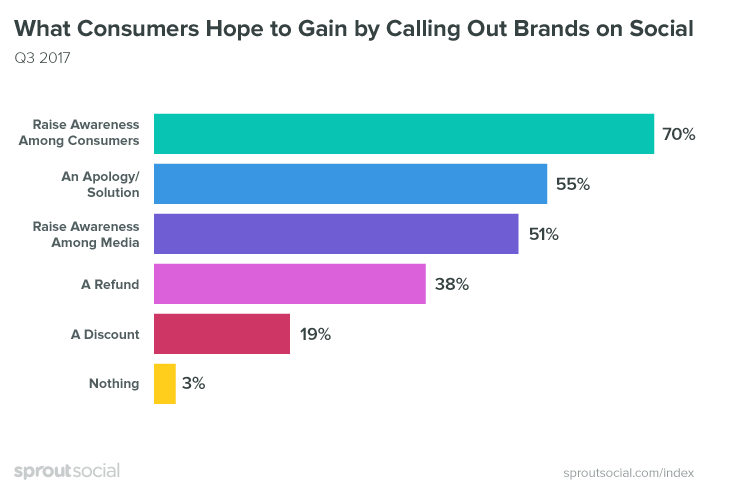 According to Sprout Social data, 55% of people call brands out to get a response or resolution. Find people talking about your company and respond to them in a meaningful way. The more value you give, the more likely it is that you can turn unhappy clients into advocates. When you run any other social campaign, you use tools like Sprout Social and native analytics to track your results. The same rules apply to your Quora marketing strategy. Being active on Quora is an excellent way to build credibility and thought leadership. The more answers you give, the more your presence and reputation will grow. However, you’ll also need to find out exactly what kind of impact your efforts are having. That way, you prove the ROI of your Q&A sessions. On your Quora page, you can review all of the analytics for the questions you’ve answered. You’ll be able to track everything from how many people viewed your response, to how many upvotes you got. What’s more, when you add a tracking link to your answers, you’ll also have a way to measure how many valuable click-throughs you’re getting too. With this information, you’ll see which questions are generating the most value for your brand. That makes it easier to determine where you’re going to continue sharing your knowledge in the future. While there are many tricks and tips to grow your presence on Quora, the most important one to remember is that you need to deliver value. Present yourself as a helpful, knowledgeable resource and your customers will flock to you in search of answers. 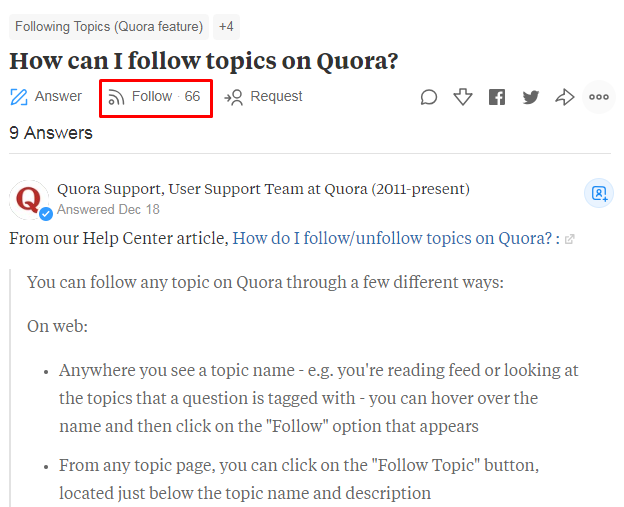 Do you have a Quora marketing strategy yet? Let us know what’s worked for you in the comments below.